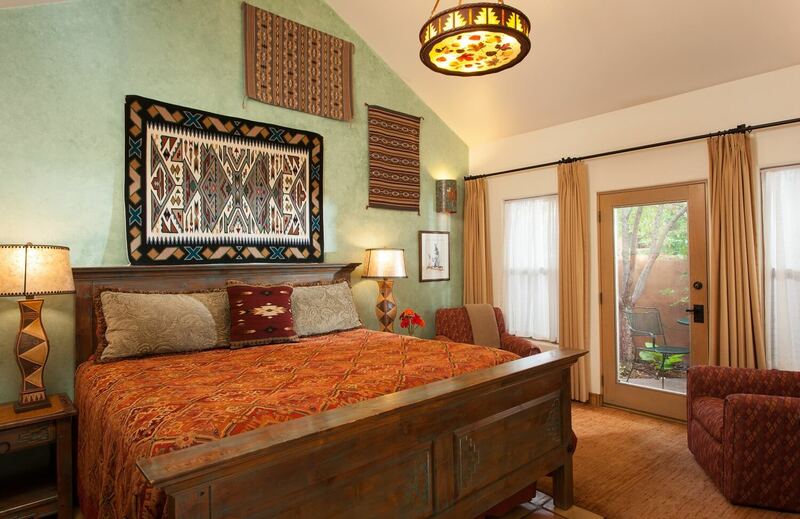 The Zia room features Native American décor and a garden patio. 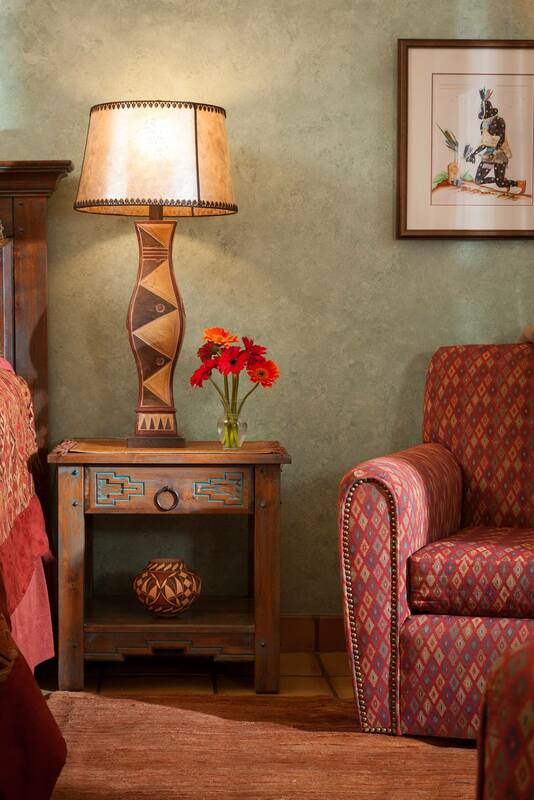 Located on the main floor of the inn, the Zia room is furnished with a hand-crafted king bed and two club chairs. 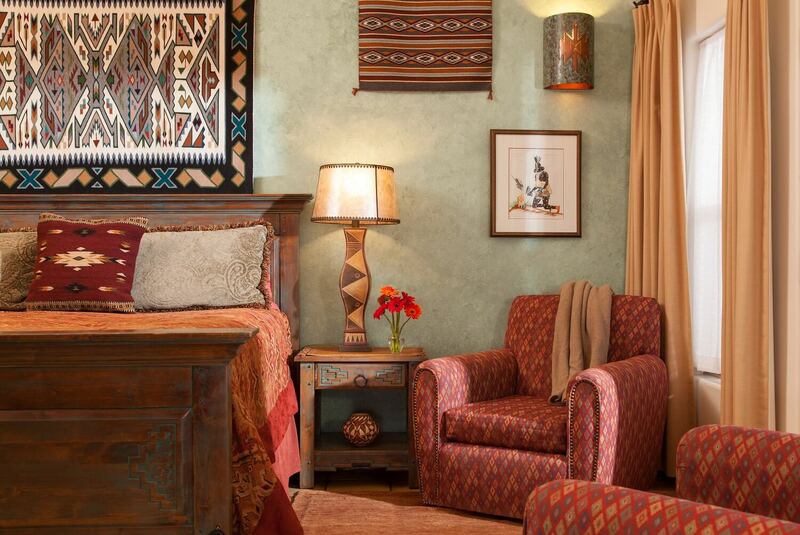 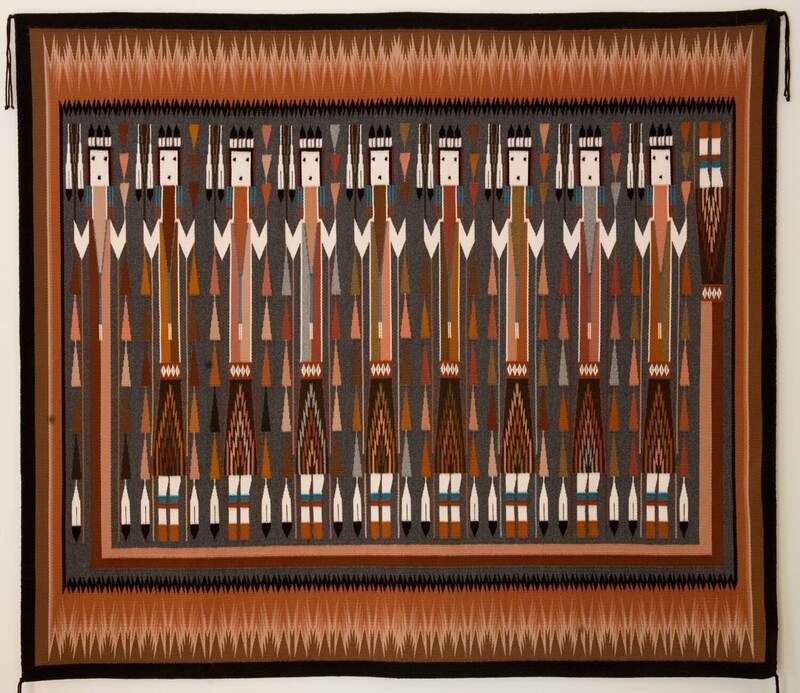 Its earth tones, western-style fixtures, and Native American décor create a relaxing and cozy retreat. 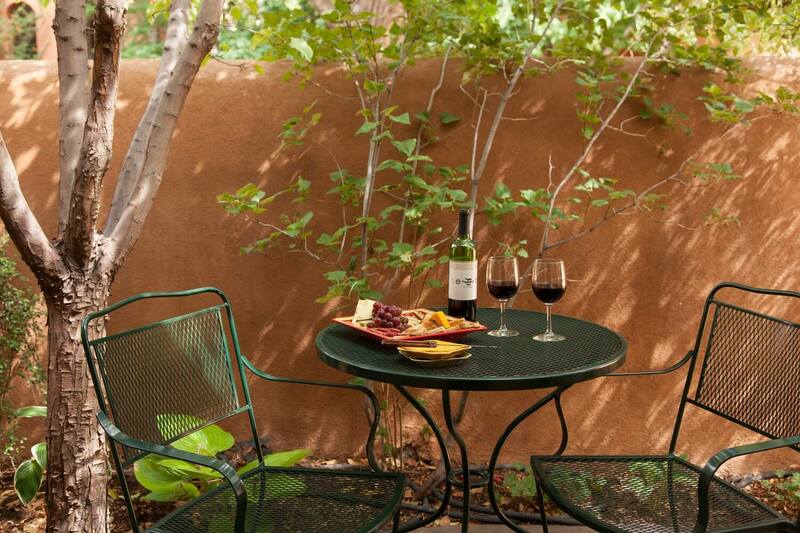 This Santa Fe bed and breakfast room opens onto its own garden patio and features a private entrance from the central courtyard.